The Fort Bend Municipal Utility District 50 (the “District”) was created by an order of the Texas Water Commission, now known as the Texas Commission on Environmental Quality (the “TCEQ”), dated March 18, 1986, with the idea that providing water, sewer, drainage, and other services to our communities was a job best done by a group of citizens who are residents of the District and who are elected by their neighbors. The rights, powers, privileges, authority, and functions of the District are established by the general laws of the State of Texas pertaining to municipal utility districts, including Article XVI, Section 59 of the Constitution of Texas and Chapters 49 and 54 of the Texas Water Code. The District is also subject to the continuing supervision of the TCEQ. The principal functions of the District are to finance, construct, own, and operate waterworks, wastewater, and drainage facilities and to provide such facilities and services to the customers of the District. Operating as a District also allows broader latitude to customize services, promote community benefits, and respond to opportunities that benefit the District’s residents. At its start, the District was composed of approximately 550 acres of land. 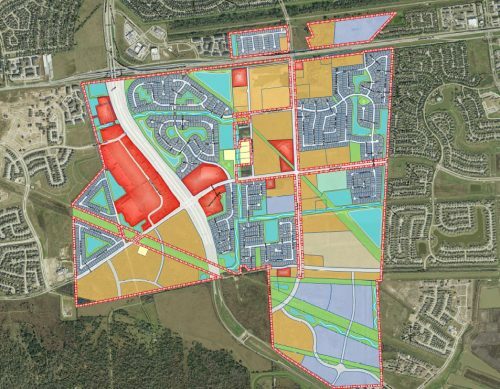 However, it has grown significantly throughout the years and now contains approximately 1,248.6 acres of land including not only single-family homes, but thriving commercial property as well. The District is governed by a Board of Directors consisting of five individuals who are owners of property within the District and are elected by voters within the District. The Board of Directors sets the policies of the District. Regular meetings of the District Board of Directors are held the second Tuesday of the month at the offices of Allen Boone Humphries Robinson LLP, 3200 Southwest Freeway, Suite 2600, Houston, Texas 77027.